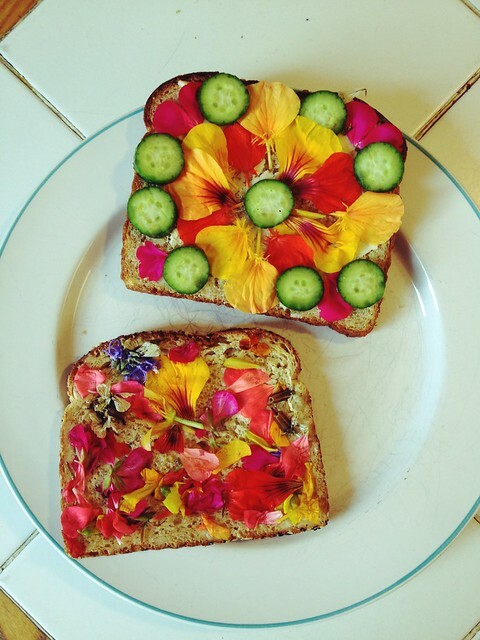 To make the sandwiches, simply spread butter, hummus, or cream cheese thinly on the bread and design with flowers. 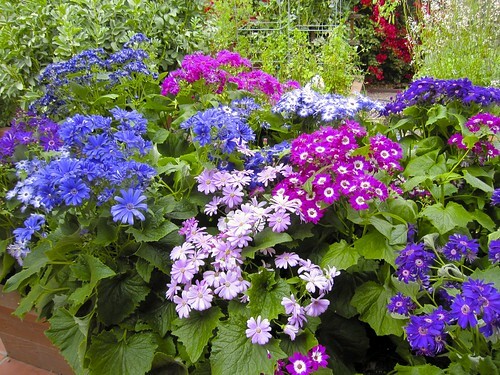 For large flowers, separate out the petals to make it easier. 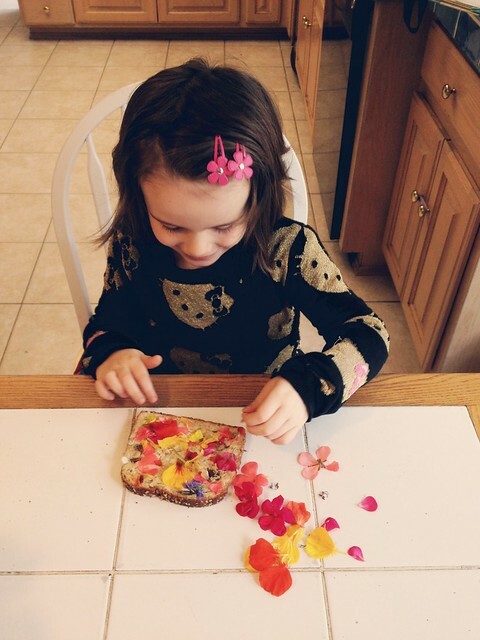 Serve open faced. These are great for tea parties! 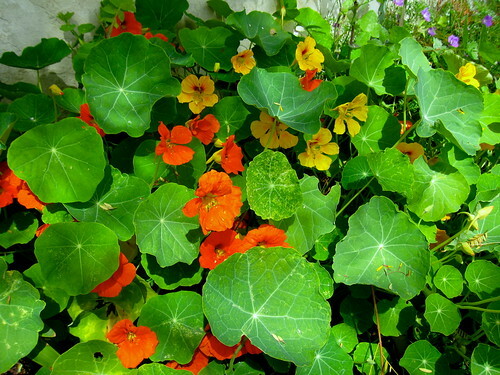 A couple of weeks ago, Kim from Kim’s Kitchen Sink asked what to do with the abundance of nasturtiums in her yard. 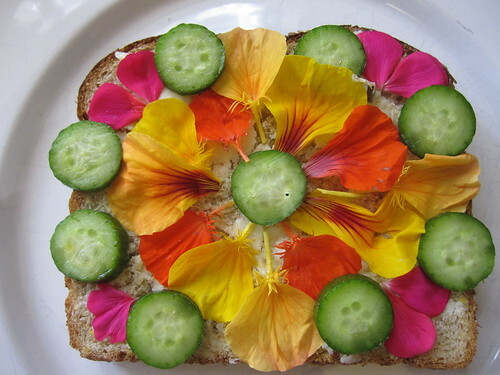 Nasturtiums are delicious and nutritious and not only are beautiful in flower sandwiches but can be used in many recipes. They have a mild spicy flavor and to me taste like spring. 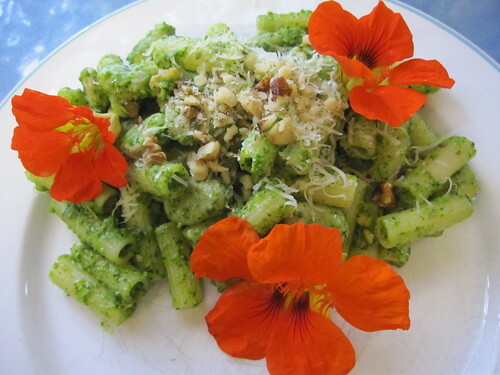 Toss the flowers in your salads, stuff with cheese for appetizers, or add to pizzas. 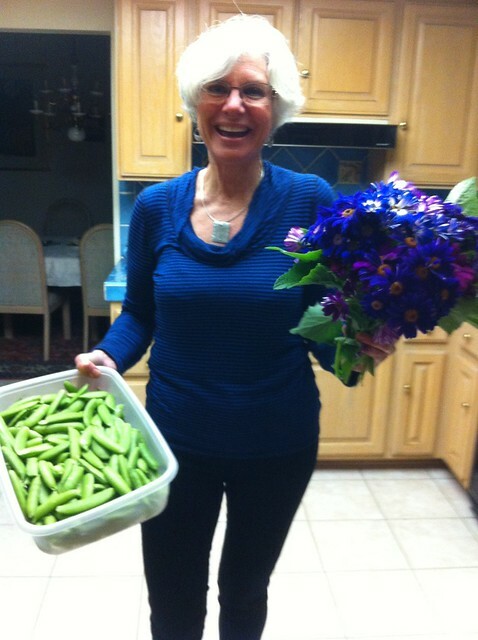 The leaves are edible, too, and can be stuffed (instead of grape leaves) into dolmas. 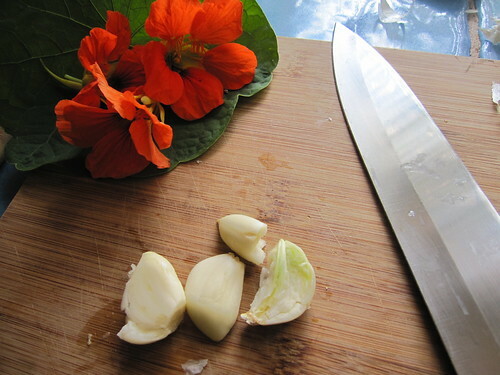 They can be torn and added to salad greens, or made into soups and risottos. 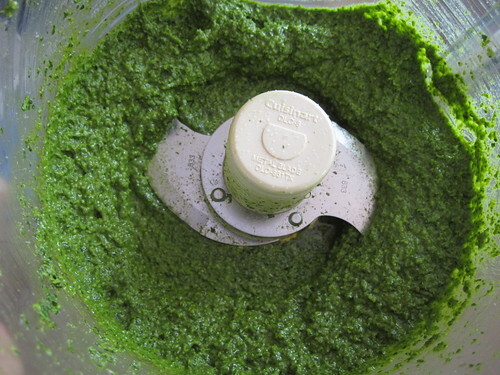 Or use all parts of the plant to make a lovely spring pesto. 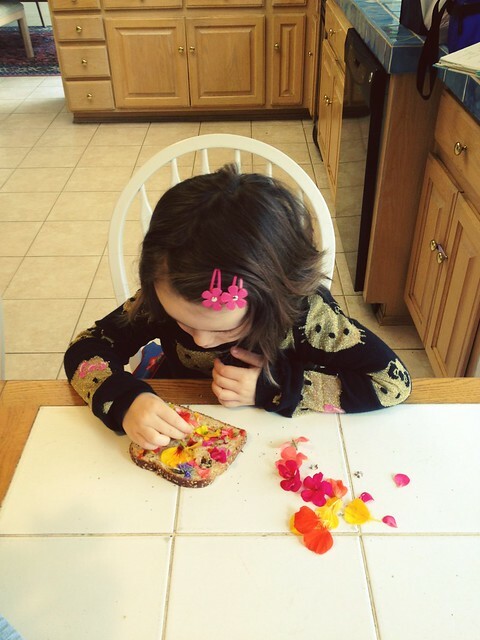 Pick leaves, flowers and stems, checking the back of the leaves and the inside of the flowers for bugs. 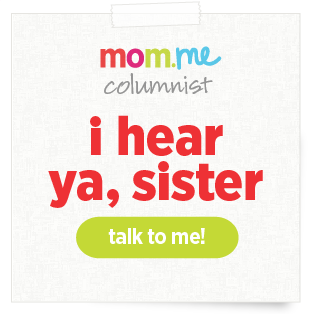 Wash carefully and dry thoroughly. 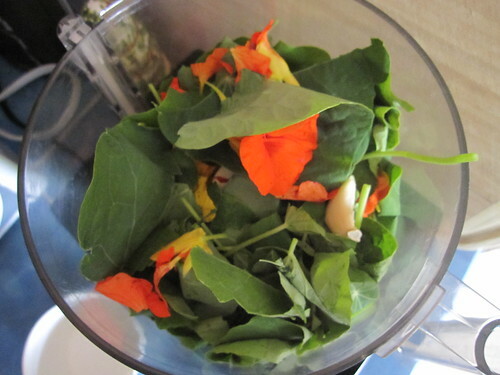 Add nasturtiums to food processor or blender with garlic, walnuts, salt, and Parmesan cheese. 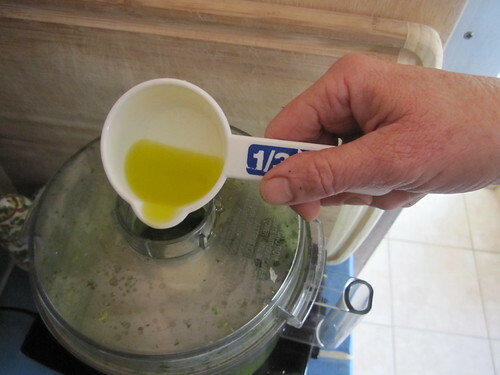 With processor running, add oil in a steady stream and blend until completely smooth. Toss with pasta, cooked beans (gigande, fava, or lima), or boiled new potatoes. 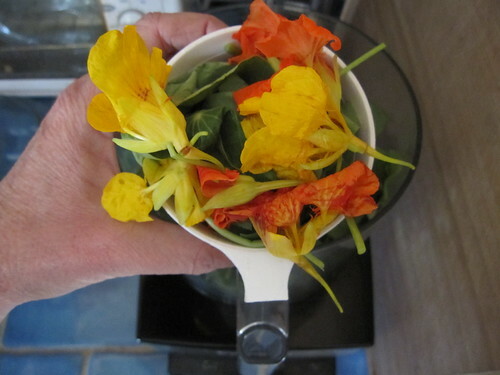 Garnish with nasturtium flowers.